The rapid development of photonic technologies has created the need for sophisticated optical products well outside the "telecom standards." User requirements and specifications for these photonic components are both increasingly diverse and technically challenging; often they cannot be realized due to the limitations in the glass processing and/or fiber splicing technology. Utilizing precision engineering, over 20 years of fiber splicing and glass processing experience, and actual listening to the wants and needs of our customers, 3SAE Technologies has developed the Large Diameter Splicing System II. 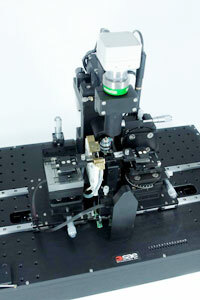 Whether the application is splicing of low temperature glass fibers, tapering, end capping, high power fiber laser component fabrication and assembly (such as mode field adapters, pump combiners and pump/signal combiners), the Large Diameter Splicing System II provides capabilities that overcome the technical hurdles of current fiber component fabrication processes to meet the most demanding requirements. Designed for reproducibility, precision, and user-friendly operation, the Large Diameter Splicing System II provides the user a manufacturing approach to optical component product development. Its extreme flexibility will enable customers to realize current and future glass processing and fusion splicing needs. Precision mechanical design, coupled with powerful, high contrast optics, absolute control of positional and angular fiber alignment, sets the Large Diameter Splicing System II apart from competing technologies. An extremely sophisticated image processing software package allows the user to view, in real time, the progress of a fiber splice or optical component fabrication step. The system handles fiber diameters from 50 µm to 2.5 mm, as well as optics such as prisms and lenses, with alignment and fusion of unsurpassed quality. 3SAE Technologies has the ability to offer large customizations of the Large Diameter Splicing System II to meet very specific customer requirements. Please inquire about your specific application. Conventional arc fusion machines utilize a high voltage glow discharge between two electrodes, forming a heat source substantially in the shape of a narrow cylinder perpendicular to the fiber and only a few 10's of microns wide. Such heat sources are ineffective for larger fibers, because of the inability to heat all sides of the fiber equally. Flame and filament machines can be optimized to provide substantially circumferential heating, but they also extend the heat zone a relatively large distance along the fiber axis. This is advantageous for some operations, such as Thermally Expanded Core splicing (TEC), but causes substantial limitations in the geometries that can be spliced and formed. For example, these heat sources are poorly suited for splicing a small diameter fiber to a much larger fiber or optical device (end cap, lens, prism). The heat required to raise the larger target to splicing temperatures will typically destroy the smaller fiber. A multi-electrode plasma discharge is advantageous for these operations, as the resulting heat zone is isothermic around the circumference of the fiber, but relatively narrow in the axial direction. This allows for directed heating of larger or higher melting point portions of the assembly. With this system, accurately aligned, mechanically sound splices of small (80-125 µm) fibers to very large (>2 mm) fibers can be performed without difficulty. This is useful for attachment of fibers to end caps or bulk optic lenses. Three Electrode system design combines proven manufacturing-stable technology with R&D flexibility. Isothermal plasma field (triangular two-dimensional plane) up to 100 times larger than standard two-electrode system fields. Proprietary-alloy electrodes, coupling extended life, high thermal power generation and low maintenance/cost, can be refurbished by user. Generates negligible tungsten deposits and requires no specialized gas environment for operation. Ideally suited for difficult or developmental applications. The high repeatability and stability is ideally suited for manufacturing or large scale production. Powerful, positionable Ring of Fire® heat source provides even heating for fiber splicing, fiber end-capping, Photonic Crystal Fiber (PCF) splicing and other applications. 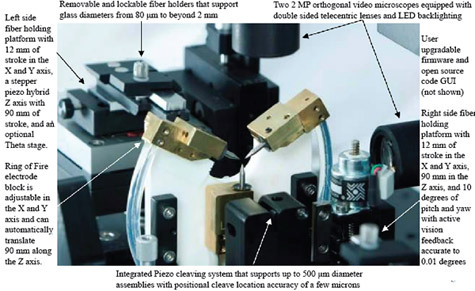 Splicing of 50 µm – 2.5 mm diameter fibers can all be accomplished using one machine. Ability to splice largely dissimilar fiber diameters (with or without fiber shaping) surpasses capabilities of all existing splice technologies. 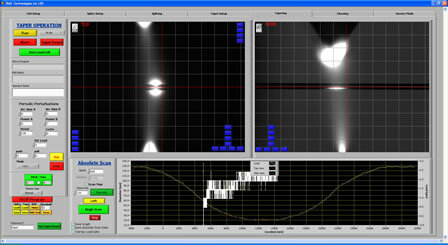 "Ionic Ablation" fiber cleaning software provides a secondary cleaning of optical fibers. Extremely high splice strengths are achievable without repetitive passes of the plasma field. Repeatable and reliable system performance achieved through three automated, easy-to-implement internal calibrations. Pitch and yaw alignment (+/- 15° range of motion with 0.01° adjustability). "Hot" imaging of x- and y- dimensions, provided simultaneously using two independent, orthogonally mounted cameras, enables user to view fiber processes in real time. 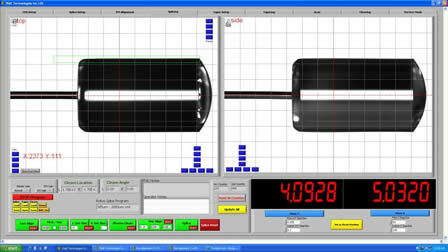 Automatic scanning software scans fiber diameters pre- and post-splice. System capable of splicing end-cap materials with high melting temperatures (sapphire). Radius Calculation Tool provides real-time radius values and pass/fail monitoring capability for lenses generated on fiber ends. Two-dimensional geometric scanning provides precision heat source balancing by monitoring extremely small dimensional differences in capillary walls or fiber diameters. Capability of uniformly collapsing Photonic Crystal Fiber (PCF) to lengths below 50% the fiber diameter allows low fiber waste cleaving, ultrasonic cleaning (no liquid wicking into air holes) and achievement of excellent splice losses. Many Photonic Crystal Fibers (PCF) can be spliced with no air hole collapse. Graphical User Interface (GUI) is intuitive, clearly marked and easy to use; no need to scroll through menus or find functions imbedded within other functions to change program parameters. Real time data and high quality images (before, during and after splice or other process) can be captured and automatically saved to Microsoft compatible files. Piezo-driven flexure stage and software package providing 130 µm of vibration-free z-axis motion with 0.25 µm theoretical resolution. Removal of vibrations, hysteresis and backlash allows for absolute fiber alignment during the critical final stage of splicing. The following upgrade packages target specific needs of the user. They can be offered individually or in groups and can be added to the LDS II at any time. Automated software, providing precise motor speed and load cell control, enables reproducible fabrication of low loss and high ratio tapers up to 150 mm length. Proprietary Power-Ramp Technology, unique solely to the LDS II, compensates for thermal mass changes along the length of a taper via controlled output-power adjustments to the plasma field during the tapering process. Single direction tapering for pulling tapers through the stationary Ring of Fire heat source. This is utilized for tapering symmetric and asymmetric linear tapers. This function is generally used for taper ratio's equal to or less than 10:1. Bidirectional tapering method is created by pulling both left and right stages outward as the Ring of Fire sweeps left to right. This method is best known for producing adiabatic tapers with the ability to alter the default exponential shapes of the tapers. One major advantage of bidirectional tapering is that this method is not taper ratio limited allowing the ability to produce adiabatic tapers such as 500 micron fiber tapered down to 10 microns. In addition to the taper ratio advantages, the default exponentially shaped taper performance allows for tapering 125um single mode (SMF) down to less than 10 microns (O.D.) while only inducing <0.05dB insertion loss. Package supports capillary-based pump and pump combiners having 2, 3, 4, 7, and 19 input fibers. The Bundle Loading System allows easy, high-yield loading of fiber into capillaries (load times generally less than 1 minute). Individual fibers can be up to 600 µm in diameter. Adjustable fusion level can be applied along length of bundle. Bundle handling fixtures and tooling included. Uses dedicated camera for improved resolution of PM end face images. Alignment using Image Analysis Software allows independent alignment of PM fibers regardless of fiber shape, fiber diameter, stress element used or fiber type, thus eliminating the need for factory intervention when optimizing splices for new PM fibers. Compatible for use with Large Mode Area (LMA) and Photonic Crystal (PC) PM fibers. Provides automated in-situ cleaving for production of end caps, tapers, mode-field adapters (MFAs) and fiber combiners up to 500 µm in diameter. Real time scanning and image feedback capabilities of cleaver software package provide reproducible reference- and cleave-location control. Improves process yields of delicate tapers and bundle assemblies by eliminating the awkward processing steps required when using an external cleaver (namely assembly-removal, cleaver-loading and assembly re-loading). Allows fiber attachment to GRIN lenses, prisms or other shorter-length optical elements that cannot be held using traditional fusion splicer fiber-holding mounts. Utilizes a Venturi vacuum system and customized mechanical platform for stable, precise control of minute optical elements during attachment. Compatible with real-time scanning software used in the standard LDS II. Mechanical platform is easily interchangeable with standard fiber holder platform and offers same degrees of motion. Provides unique capability to fuse pre-made end caps having vastly dissimilar diameters to attachment fibers.